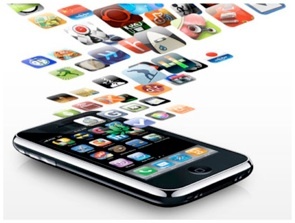 AppzDev iPhone Development: Why an App? 1.Evolution: It is important to continue evolving your business with the current trends and be prepared to adapt to the next thing. Adding mobile marketing and brand recognition to your marketing strategy is very cost-effective for small businesses and reaches out to a target market that you could be missing out on - the millions with an iphone. 2.Builds Relationships: Mobile devices provide a personal connection between businesses and consumers. When your business goes mobile with its own app and on the App Store, your consumers can download your app and literally carry you around with them. By enhancing your brand with an iPhone application, you differentiate yourself from your competitors while offering another outlet to communicate with your customers. 3.Push notifications: Allow you to reach consumers anytime and anywhere. They are similar to text messages in the way that they alert those who have downloaded your app. You can send messages about upcoming events, special deals, or updates about what’s going on with your company to anyone who has your app downloaded. 4.Entertainment/engagement: Applications are the fun part about smart phones that have the ability to engage and entertain consumers. When waiting for an appointment, passing time in between class, or just curing boredom, smart phone users are always looking for new apps to check out. 5.Integration: AppzDev LLC. can design the app for your business so it integrates your blog and social media sites. These sites can be accessed through your app in two touches.